As an English teacher, I make a living out of helping my students find connections to the world around us. I serve as their guide in helping them to think critically and to use writing as a tool to make their thoughts, ideas, and dreams tangible. We use narratives, poems, articles, novels, and videos as a touchstone to connect with other lives, time periods, and cultures. Our writing becomes a mirror that we can hold up to our ambitions and possibilities. I always tell my students to examine the world with the astute eye of a writer. It makes us pay attention to things that may otherwise slip by. As a new mother, I try to help my step-children make connections as well. The kids spend the majority of time with us and we try to make the most of our family time together. 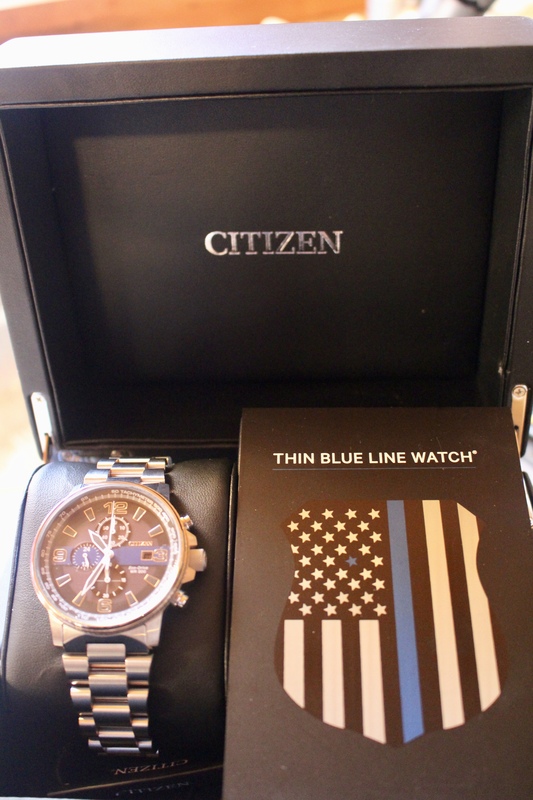 Since my husband John is a police officer his job often entails the challenge of shift work. However, he currently is on day shift which means that he is home for dinner every night. Last week he cashed in some very precious vacation time so he could accompany as a chaperone for the Winter Homecoming dance. 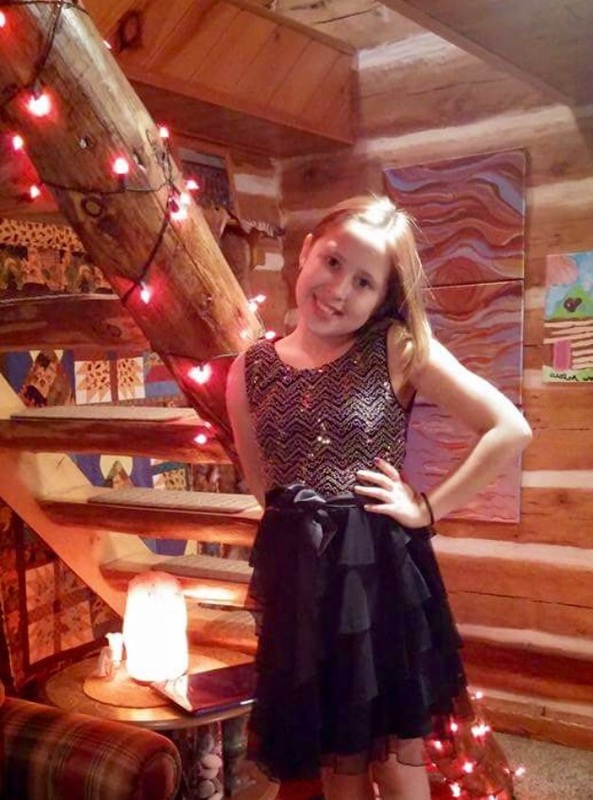 After fall Homecoming, I promised Avalon that if she had high grades, strong attendance, and positive behavior that I would buy her a new dress and let her attend the Homecoming dance. 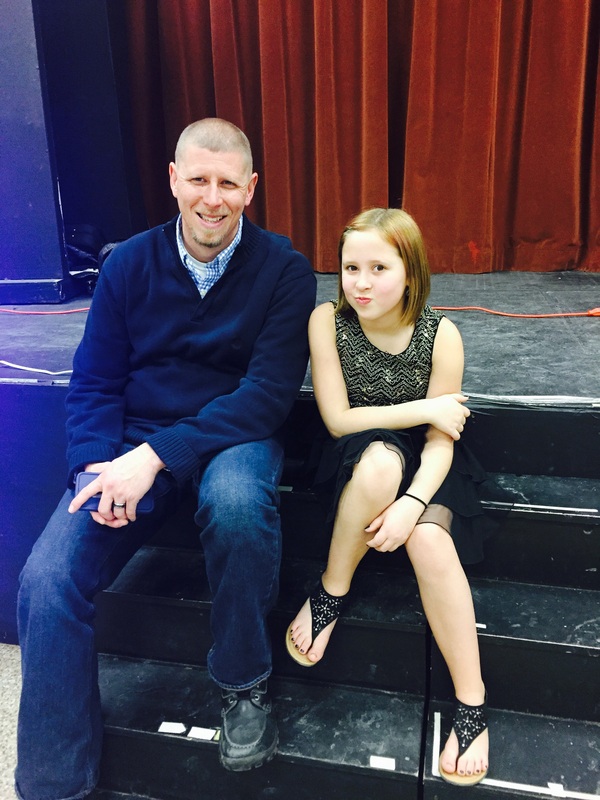 She met and exceeded our goals and expectations – and I think it is fair to say that she felt like a princess dancing the night away. Avalon posing in her Homecoming dress. What a beauty! John and Avalon. Oh, how I love them both! How thankful I am that I work in such a family friendly environment. 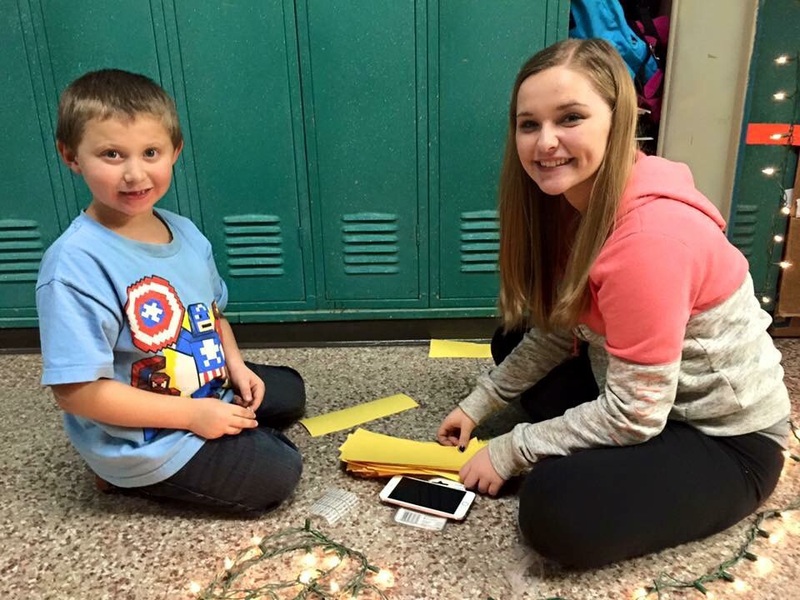 I think that it is a wonderful experience for Lukas and Avalon to interact with high school students and develop relationships and make connections with teachers, administrators, and others that will be stakeholders in their education through elementary, middle, and high school. 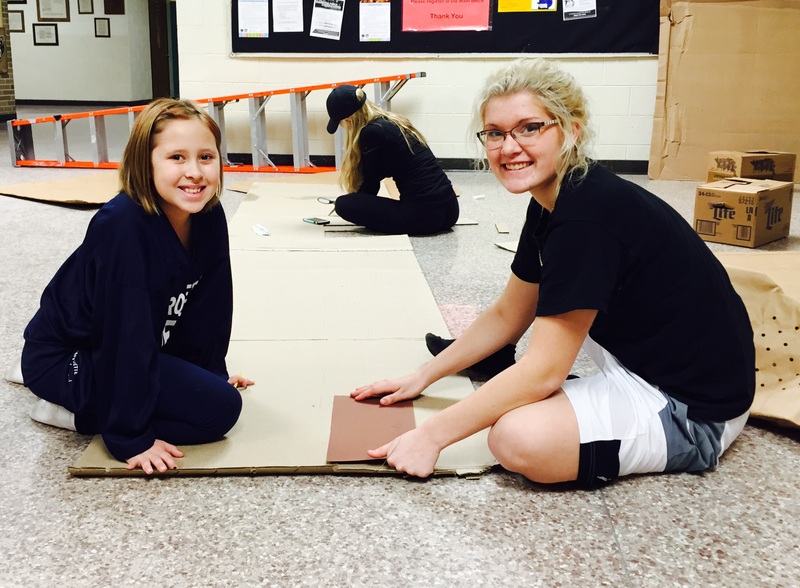 Lukas and Lorraine work on creating the yellow brick road in the hallway. Avalon and Kori make a great team. 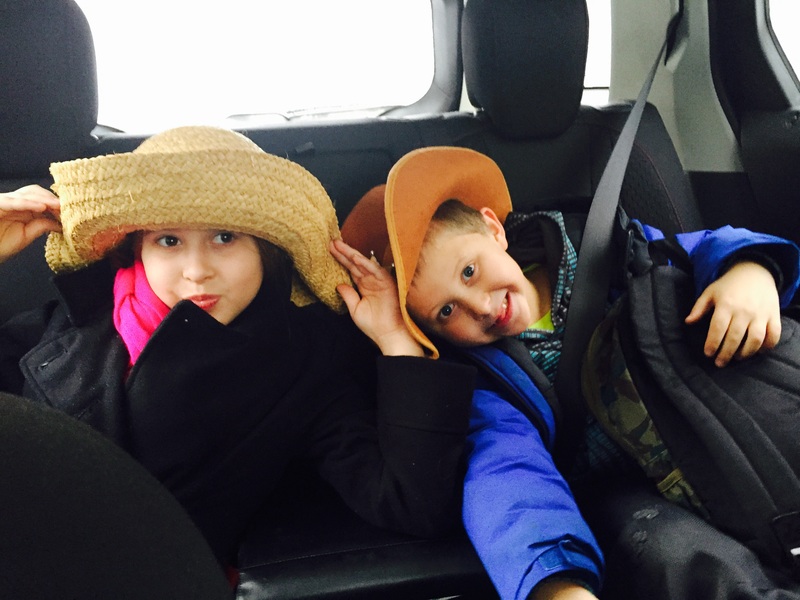 Avalon and Lukas wearing their hats for Spirit Week. a sauna from a shed that we purchased from the Gwinn High School building trades class. Since we live out-of-town we want to maximize our beautiful property and create our own personal paradise. 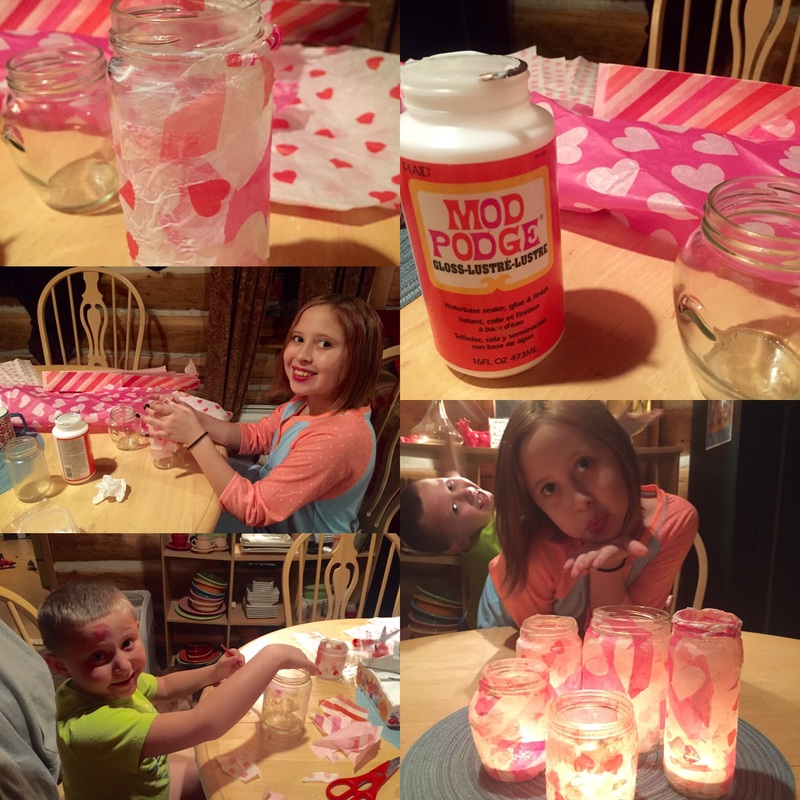 Last weekend I promised the kids that we would make Valentine’s crafts. 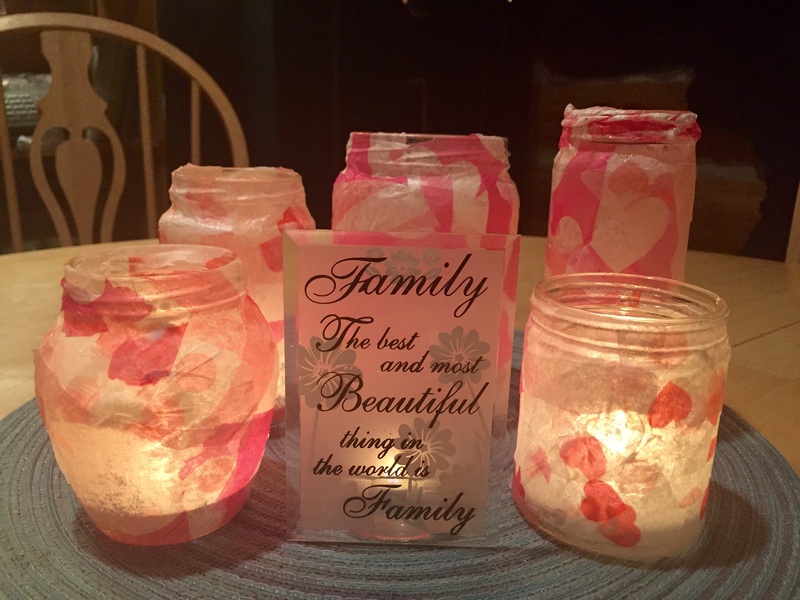 We recycled jars and used Mod Podge and tissue paper to make “stained glass” candle luminaries. 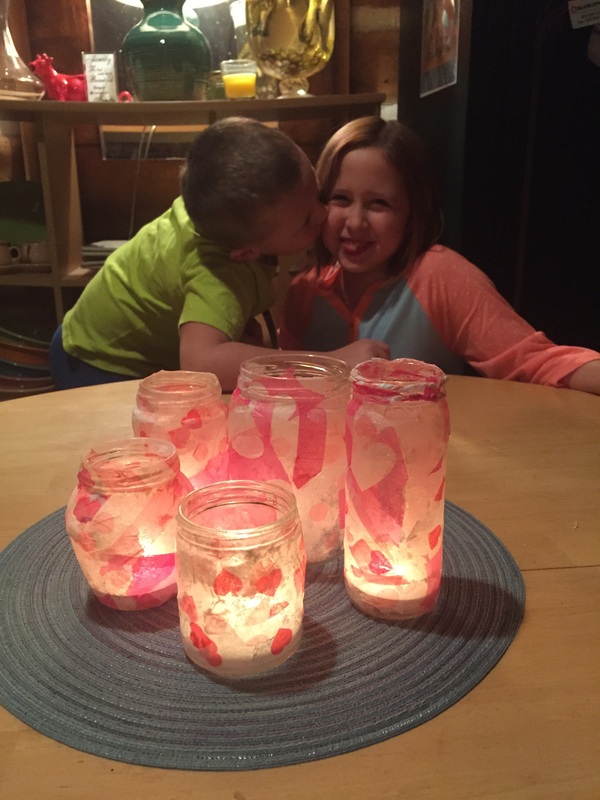 They loved being creative and suggested that we make more for every holiday. Setting a pretty table is important to me and I love that our Valentine’s centerpiece was created from Avalon and Lukas’ handiwork. I think that they will make our February family dinners even more special. Avalon bought me the beautiful family candle holder/plaque for Christmas. Speaking of beautiful table settings, I recently became enamored by The Pioneer Woman, Ree Drummond’s gorgeous table wear collection. Since John and I merged households (I moved into his cozy log home) we feel it is important to acquire some new items together to help tell our story. We have kept quite a few of things we both had (for practical purposes) and slowly are buying a few new things. I wanted new every day dishes, but I am extremely picky. 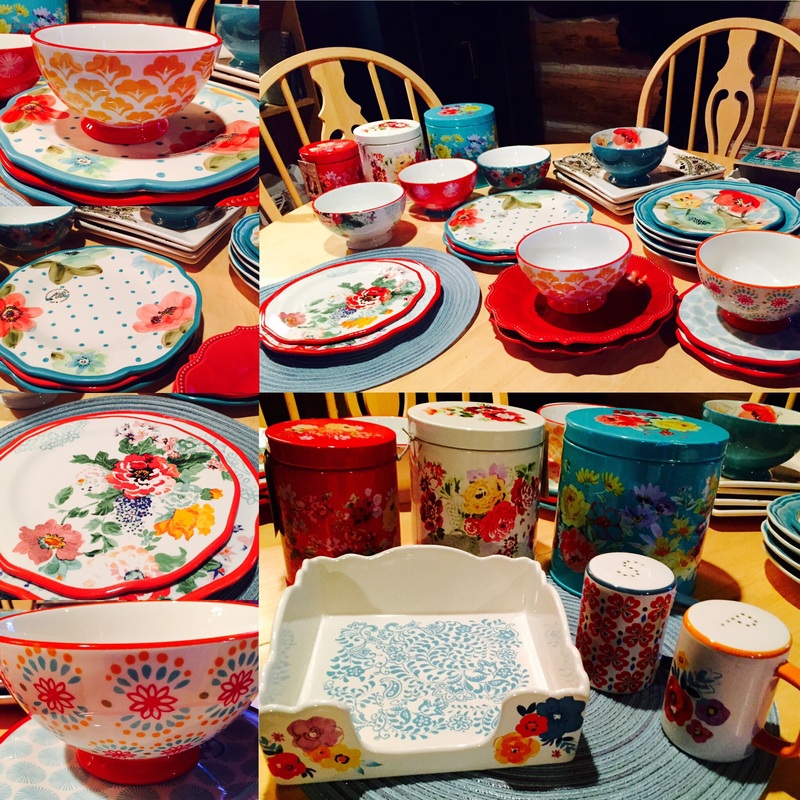 I could envision vintage plates and bowls, or at least a vintage feel, and Ree’s collection went perfectly with our red, yellow, and aqua theme. I love how bright and cheerful they are – elegant – with just the right amount of country charm! Not to mention that they are extremely affordable (which works with our goal to not squander our resources). This weekend, after sleeping in from our late night at the dance and a huge breakfast, John took Lukas ice fishing and Avalon went grocery shopping with me. I told her with all the money that we saved with coupons and smart shopping I would treat her to Starbucks. 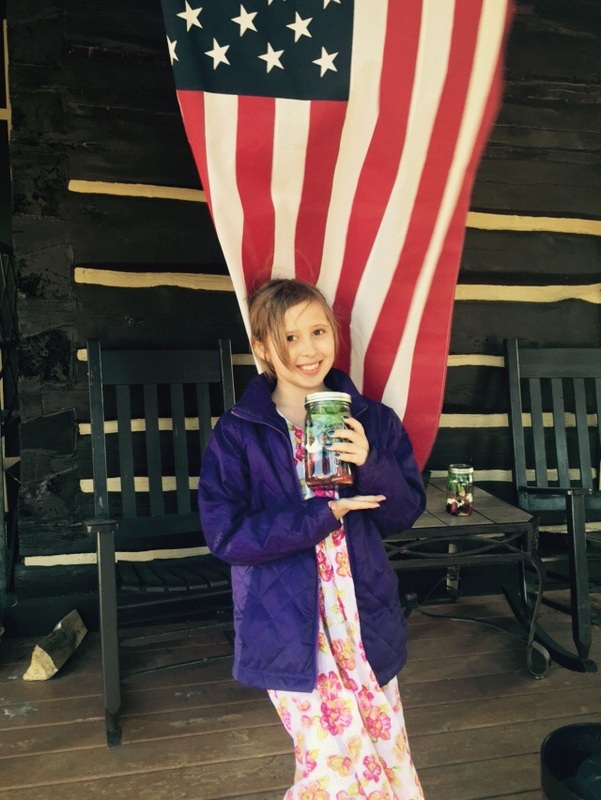 She is a wonderful shopper and helps me remember the items on our list and she’s a huge helper in the kitchen. 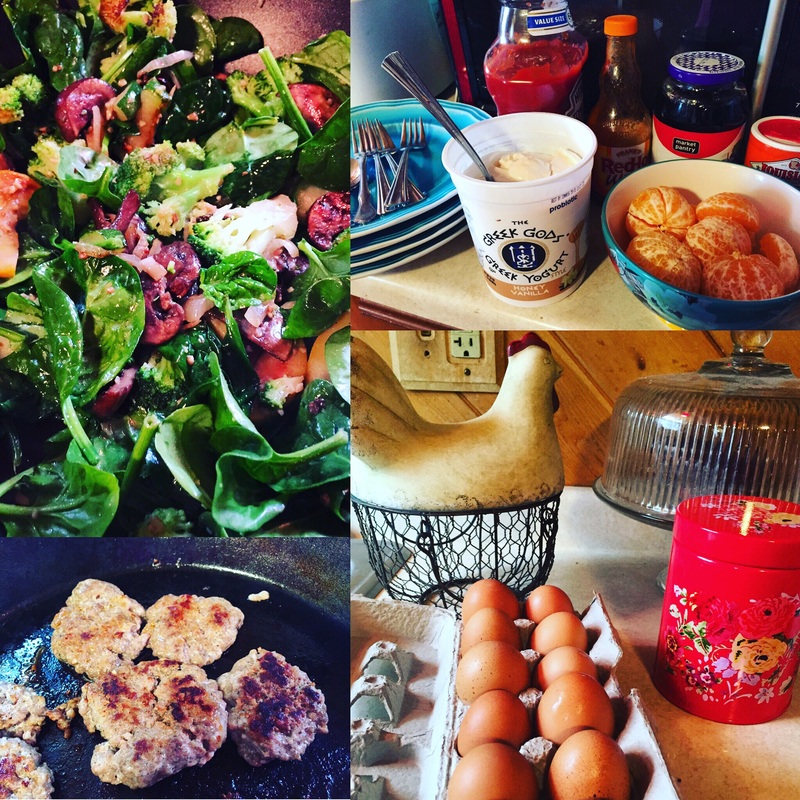 In fact, the recipe that I am sharing with you today was one of the first meals that Avalon helped me assemble last spring. We take breakfast very seriously in our house. The eggs are from our hens and John and the kids had sausage from the pork that he raised last summer. Of course I sautéed lots of vegetables for my plate. When I first started dating John, the kids (especially Lukas) were obsessed with the fact that I was a vegetarian. 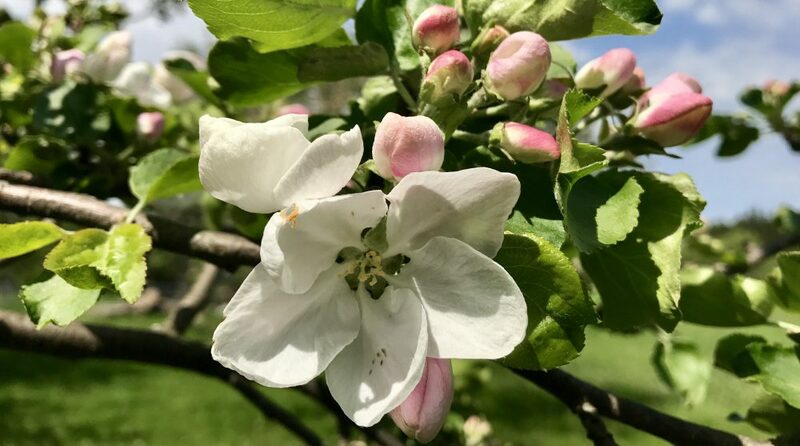 While they tend to be picky eaters and do not have a fondness for fruit and vegetables, I think they have made great strides in eating healthier. 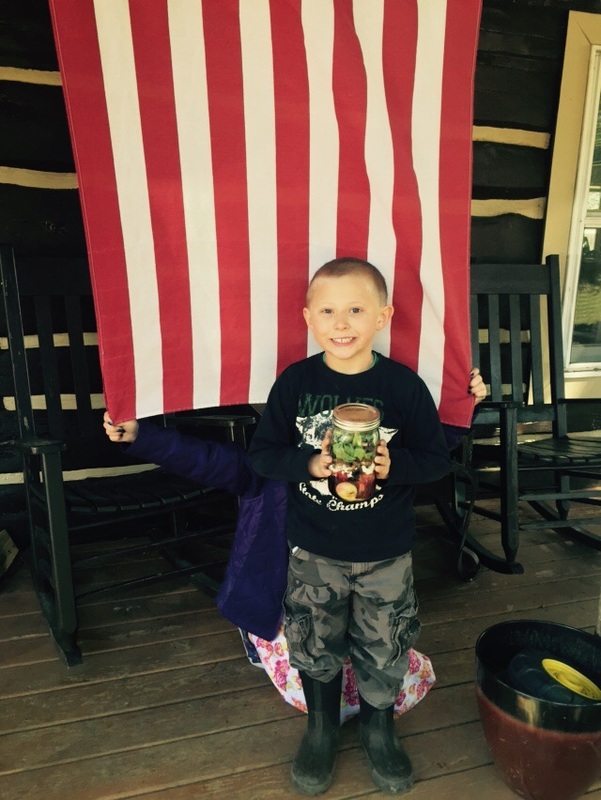 They love broccoli and green beans and for dessert they often will choose Greek yogurt and fruit. John, like the kids, has quite a sweet tooth but he loves to take a green smoothie to work and he enjoys my Mason jar salads. The combination that I am sharing with you today is his ultimate favorite. The caramelized pecans are a favorite snack of both John and Avalon and I often say that they are my way of “tricking” John into eating salad. While I do have a recipe for homemade Raspberry Vinaigrette, John prefers a sweeter store-bought version. I usually purchase Paul Newman’s Raspberry & Walnut dressing or Target’s Archer Farms Raspberry Vinaigrette – though I recommend that you give my recipe a try! 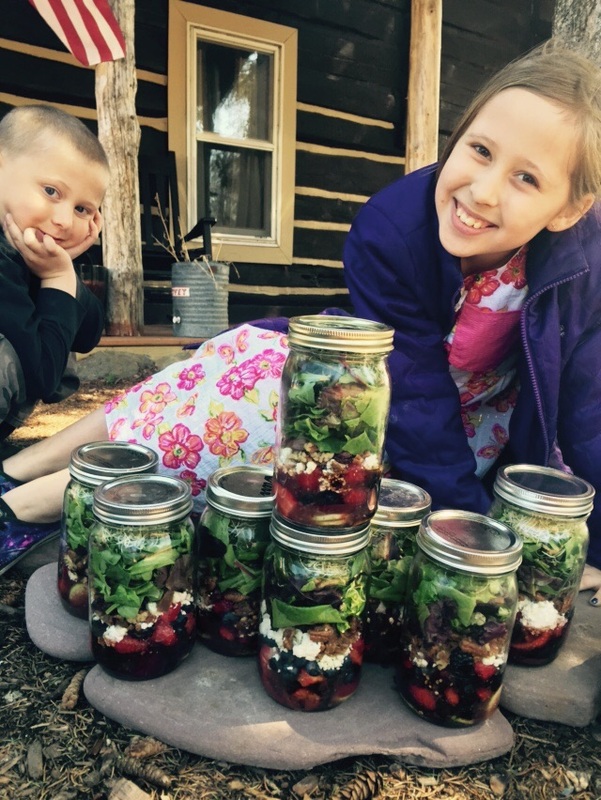 If you are new to jar salads, I recommend that you check out this link for helpful tips and tricks. *If you do not eat dairy you might want to try this Herbed Tofu, from Vegan Yak Attack which makes a great feta cheese substitute. 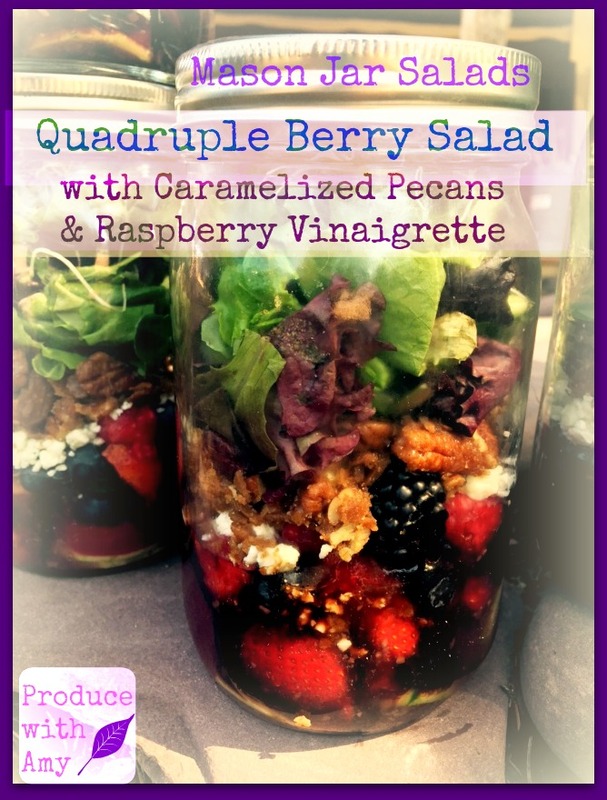 This combination has turned John into a salad fan and I hope that you enjoy it too! While life is busy, we are never too busy to make healthy choices. 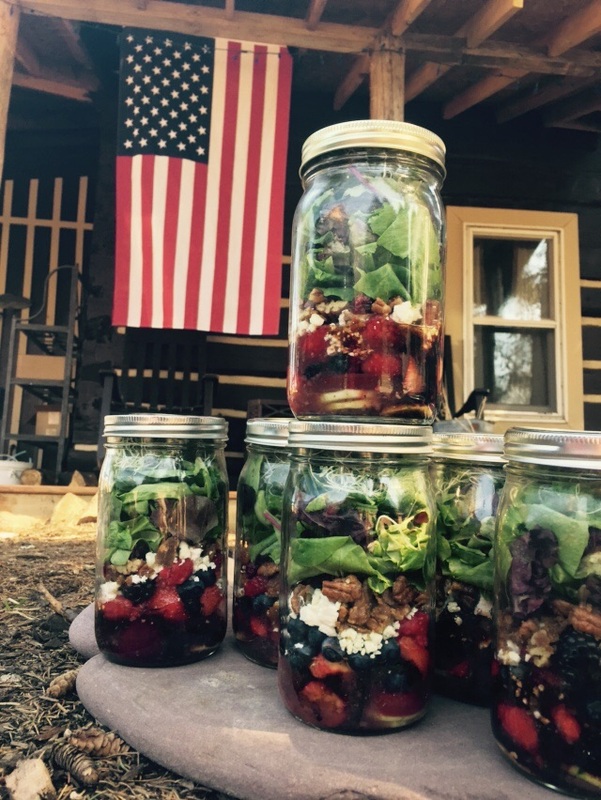 Mason jar salads are a real game changer when it comes to meal prep. I got out of the habit this fall when my schedule got tight and my goal for the coming month is to make jar salads each week for work. I also want to bring back my weekly blog posts. I miss sharing with you, and since I use my blog as a teaching tool, I miss sharing my writing goals with my students. As always, I would love to hear from you. I hope you are meeting your healthy goals and intentions for the new year. Remember, we are worth it! 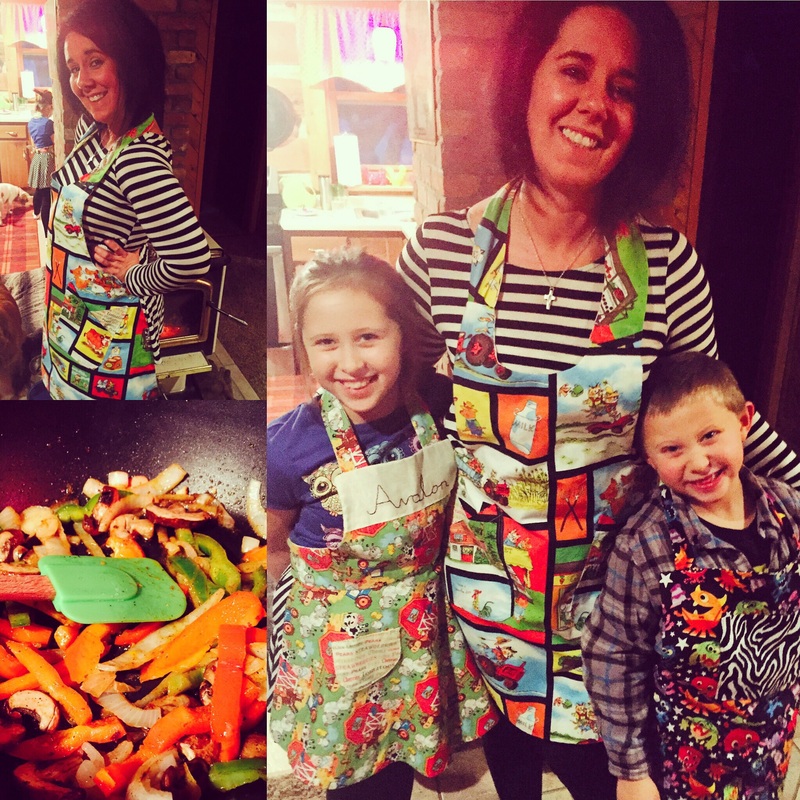 John’s mom made us cooking aprons for Christmas. 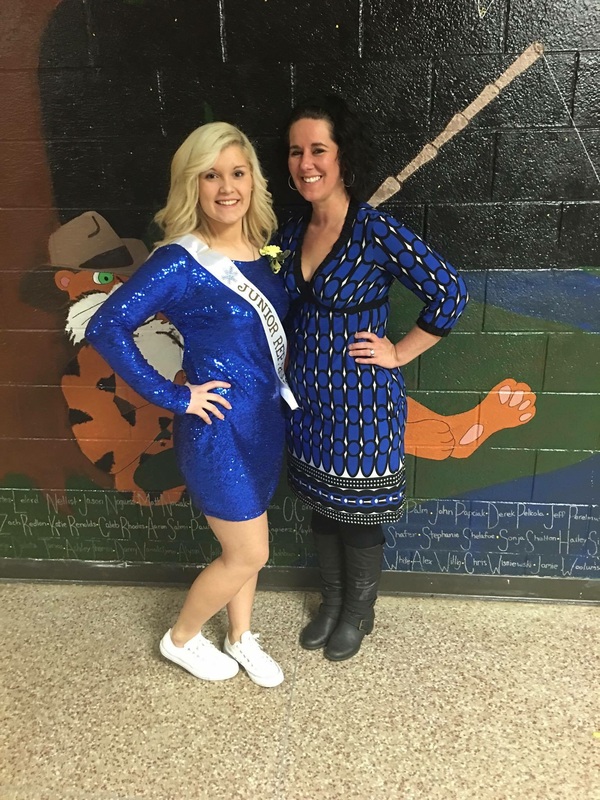 One of my students Kori and I at Homecoming. I love her! 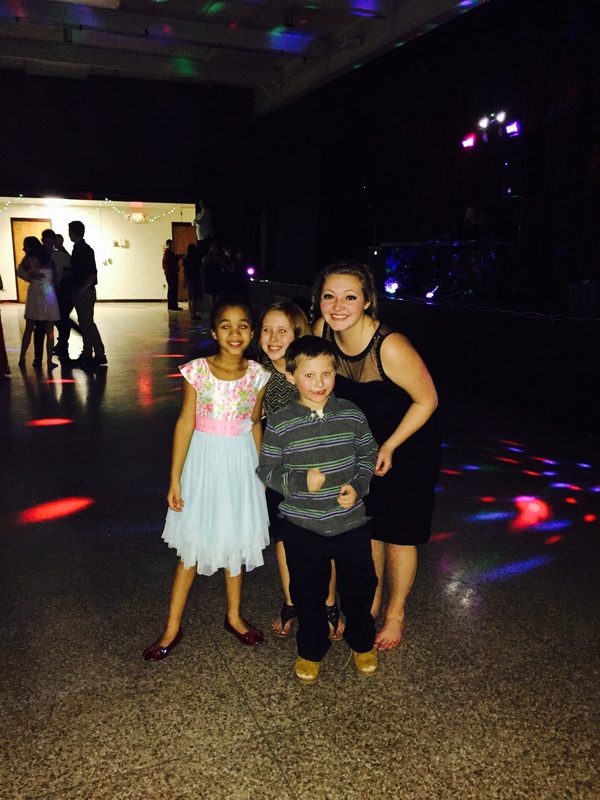 The kids had so much fun dancing the night away. Jordan, one of my students, made their evening extra special. She is beautiful inside and out – love her! 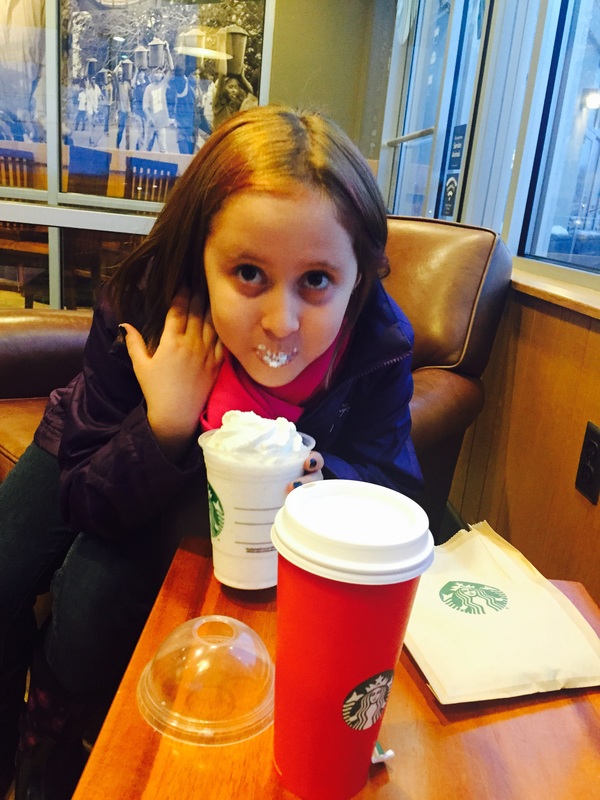 Miss Avalon enjoying her Starbucks treat.